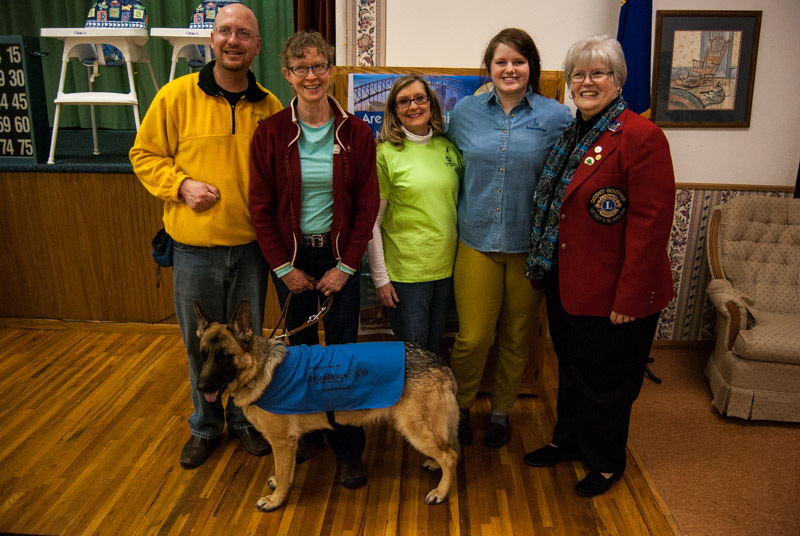 This past Saturday, the NDSU Campus Lions Club was in the forefront as District 5NE Zone 6A sponsored a Chili and Donut Feed on February 15, 2014 to raise funds for Leader Dogs for the Blind. Led by NDSU senior, Lion Jade Monroe, zone chair for 6A in District 5NE, 11 members of the NDSU campus club, along with members from four other clubs—Horace Lions, Fargo Lions, Gateway Lions, and Emerado-Arvilla Lions—worked together to stage the fundraiser held at the Horace Senior Citizen Center. 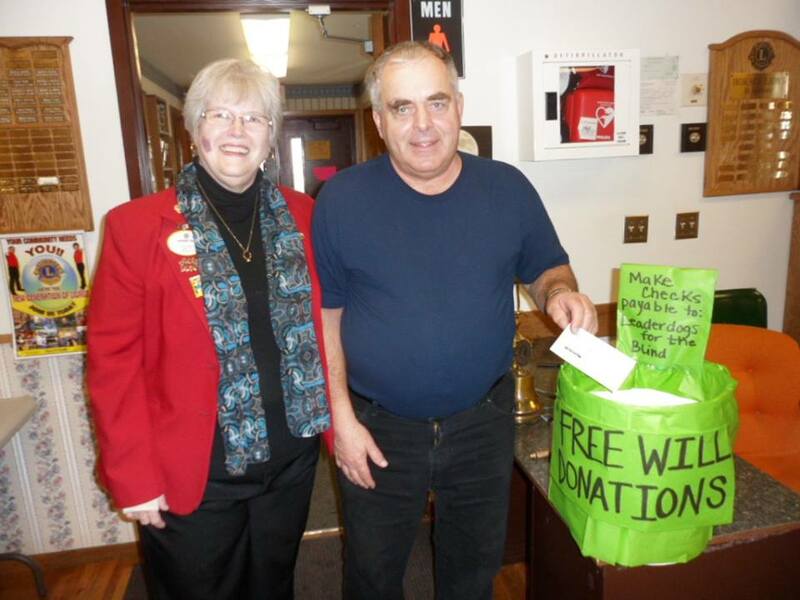 Over $2,000 was raised from donations collected from attendees and three area Lions Clubs. Lion Jade was enthusiastic about the outcome as she described her feelings: “This is exactly what being a Lion is all about . . . This event would not have been a success without the coordinated efforts from all of the clubs within the Zone, and I am incredibly thankful for their hard work and enthusiasm.” Pictured to the right are members of the NDSU Lions Club with District Governor Katherine Tweed and advisor PCC Lion Robert Littlefield. The Chili and Donut Feed was conceived at the first zone meeting last September, following a presentation made by Lion Jade about the yearlong fundraising initiative launched by Leader Dogs to expand and improve their facility in Michigan. The idea of serving chili and donuts originated from Leader Dogs headquarters where visitors are provided with refreshments when they visit the facility. Originally, the donuts were served in the morning and the chili was available for guests who arrived in the afternoon. However, it wasn’t long until people were timing their visits to the Leader Dogs facility to get both donuts and chili. Lion Jade was impressed with the Leader Dog mission statement and the stories of those who received dogs. As the advisor for the NDSU Campus Lions Club, I loved being able to watch the campus Lions take charge. These Lions were so fired up to organize, coordinate, cook, serve, clean up, and then take the extra chili to those in need. What’s really neat is this group of young Lions is already thinking of and planning their next project: organizing the Bison Walk for Vision 5K in April with proceeds going to the ND Association of the Blind. These Lions feel the joy of service and they really want to make a difference in the world. How could one not be proud of such a wonderful group of young people? During the event, several speakers shared their Leader Dog experiences, including Retired Master Sargent Eric Martz from Heroes of the Heartland who spoke of how his life was enriched because of the Leader Dog he received. In addition, pictured to the left in the photo are Rev. Ben and Pia Carlsen of Thief River Falls, Minnesota, accompanied by Xylon, the Leader Dog puppy they are training. They talked about their experiences as Leader Dog puppy raisers and the role they play in helping to prepare dogs for their assignment as Leader Dogs. Also included in the photo are Lion Salli Lou Anderson, District 5NE Leader Dog Chair, Lion Jade Monroe, and DG Katherine Tweed. At the conclusion of the event, NDSU Lions took the remaining chili to three facilities: Churches United for the Homeless, New Life Center, and the Gladys Ray Shelter. 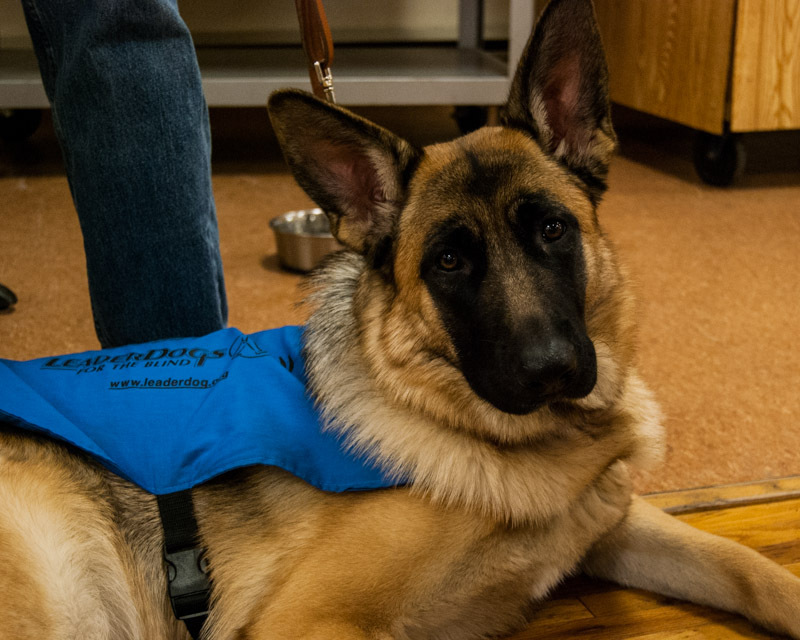 As we left the Horace Community Center, we knew that something great had happened for the love of Leader Dogs. This was an event of generosity. So much loving and giving and cooking together. A wonderful day that took great planning and organization. Thanks to everyone!